A new $1.7million State Government initiative will be a major step forward in allowing people with MS and other disabilities to have more independence when attending major public events and attractions. Many people with MS can experience symptoms, such as bladder and bowel issues, and motor control issues which can leave people feeling vulnerable when out at public events; as major venues and attractions are often lacking in purpose built facilities which cater for a variety of needs. But this four-year initiative will see brand new best practice disability toilets go up around South Australia, which include a range of features not available in standard accessible toilets. The first four new ‘Changing Places’ toilets are to be built at Adelaide Oval, Rundle Mall, Glenelg and the new ‘U City’ development on Franklin Street—with more locations to be announced in the future, including regional SA. Two portable Changing Places ‘Marvaloos’ are also to be purchased and are expected to be ready for use at public events, such as concerts and festivals, by the end of 2018. As of February 1, 2018, a portion of the State Government funding will go toward four additional Changing Places toilets to be build around regional South Australia - in Port Lincoln, Whyalla, Victor Harbour, and Mount Gambier - thanks to successful lobbying by Dignity Party SA. 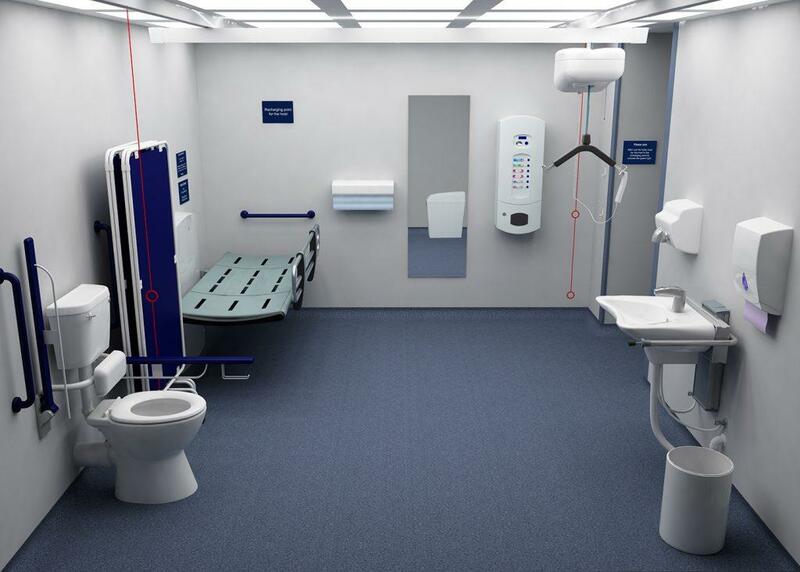 Features include a height-adjustable adult-sized change table, a tracking hoist system, non-slip flooring, and more cubicle space to accommodate a person using a wheelchair and up to two carers. The Marvaloos come with additional features, such as an access ramp, external sun shade, heating and cooling, and a curtain for additional privacy.